The dog and I went trespassing this morning. The come hither wafts of wild garlic in the wood adjoining our path were too enticing to resist. A valid defence in court for any cook, surely? Anyway, the dry stone wall surrounding the wood has long since collapsed. And I only took a little. In fact, it’s a very invasive weed so really I’m helping tend the wood, aren’t I? Enough excuses. I will enjoy my spoils whilst my freedom lasts. Soup is the most common use for wild garlic, and my friend discovered that it makes a light but tasty Spring starter when chilled. I also use the raw leaves chopped into omelettes or to add a zing to a salad. Go easy though, the raw leaves are much milder than bulb garlic, but they still pack a punch. Cooked, their taste mellows and sweetens making them a pleasing accompaniment to the last of the venison or the first of the lamb. However, it’s wild garlic’s potential as a stuffing that I’m going to explore today. First, roll out your pasta. 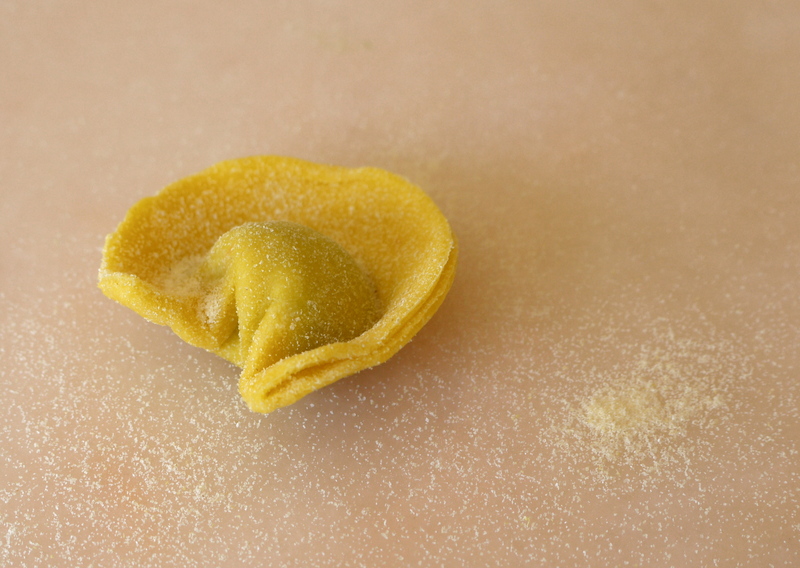 You can either use a pasta maker, in which case roll sheets to thickness number 6 or 7. But you don’t really need one. You can simply cut your dough into 4 chunks and roll each one out with a rolling-pin and copious amounts of semolina to prevent sticking. (Avoid using flour in place of semolina as it will get absorbed into the pasta and make it too dry.) 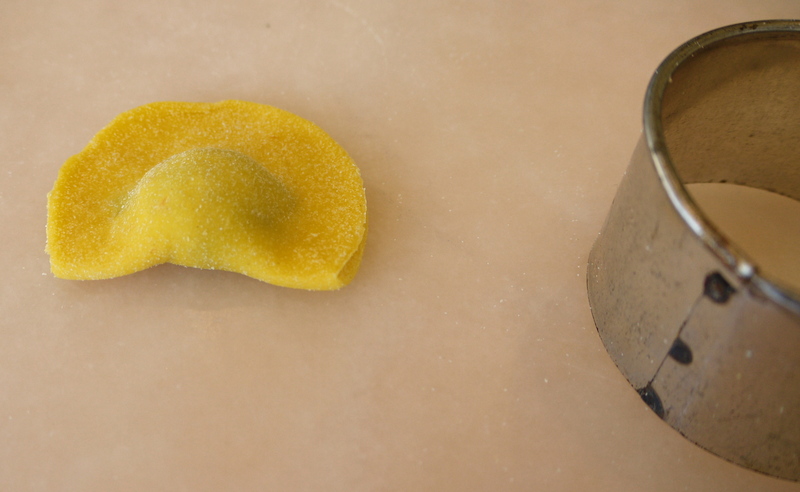 Keep rolling until you have pasta thin enough that you can just see your hand through it. Put the sheets aside to rest for 10 minutes. Sweat the spring onions until soft then tip into a bowl together with the pecorino. Wash the wild garlic, particularly if your dog has been bounding all over it, and wilt it in the water that clings to it after washing. Next squeeze the water out of the garlic. Valentine Warner says this sort of thing must be done whilst chanting, “Water out! Water out!” in order to prevent soggy fillings, but I leave that up to you. Either way, it needs to be good and dry before you chop it up and add it to the pecorino mix. Finally, season and add a dollop of double cream to help the mix bind. Now the fun bit. 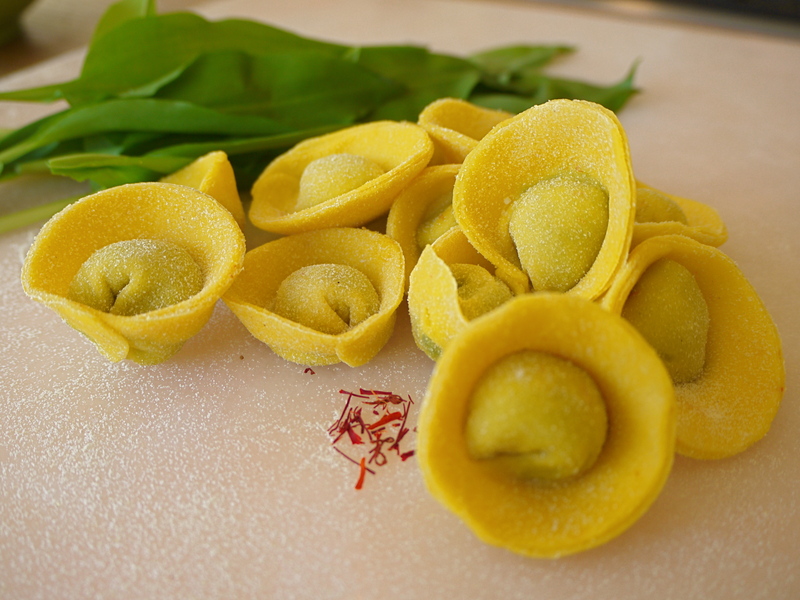 It doesn’t really matter how you seal the filling in the pasta, but I like these hats (which doubtless have multiple names in different regions of Italy, but no matter, to me they are ‘hats’). I cut out the shapes and fill with a teaspoon of stuffing as per the pictures below, sealing the edges with a little water as I go. Leave in the fridge until needed and cook the hats in gently boiling water for 3-4 minutes. If the water is boiling too fast, the pasta will balloon up unpleasantly. Serve with a knob of butter and a hint of Spring sunshine. This recipe is based on my Mother’s award-winning spinach quiche. There is surely no greater accolade for a quiche than to claim the first place rosette in the Notgrove Village Fayre Quiche Making competition. Needless to say it was a momentous day in the G&G household. However, like all children who never learn, I’m changing my Mother’s award-winning recipe, which I was sure would be folly, but it seems to have worked. 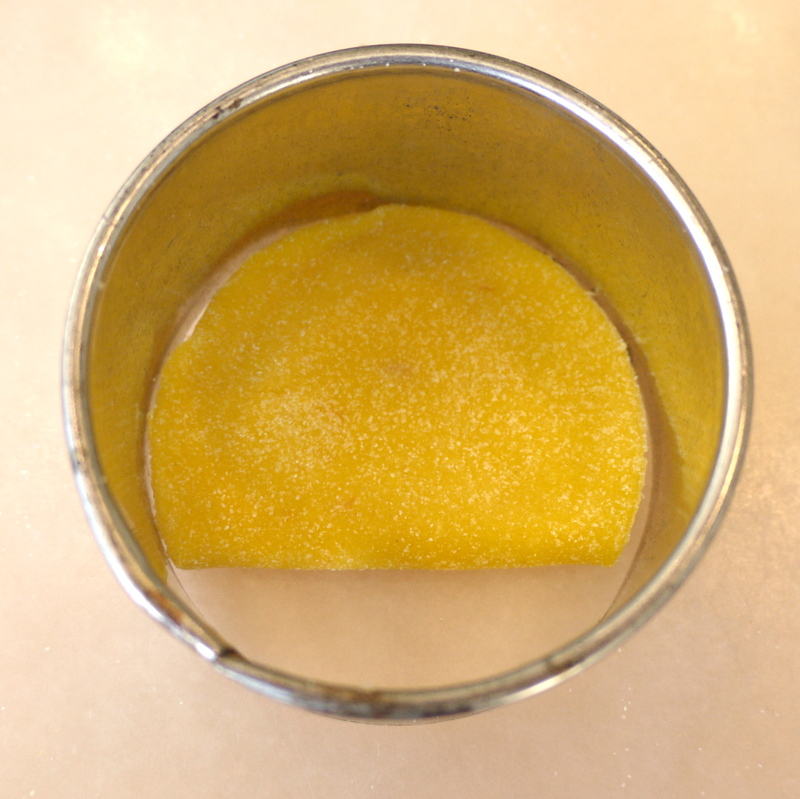 To make the base, line a greased quiche tin with the pastry, prick the base with a fork and rest in the fridge for 30 minutes to prevent shrinkage. Blind bake the case at 175 degrees for 20 minutes, remove the baking beans and brush liberally with an egg wash before returning to the oven for 10 minutes. If you have cracks, a good thick brushing of egg wash at this point should seal them. Meanwhile, make the filling. Sweat the shallots in a frying pan ’til soft and transfer to a bowl with the cheese, crème fraîche and eggs. Wilt the wild garlic as before, squeeze dry (water out, water out) then chop and add to the bowl. Mix it all up and season well. Dollop the filling into your case, sprinkle the top with pine nuts and cook at 160 degrees for 1 hour, turning if you have a wonky oven like I do. It should be just wobbly in the middle but set. Serves 6-8 award-winning mothers or foolish daughters. 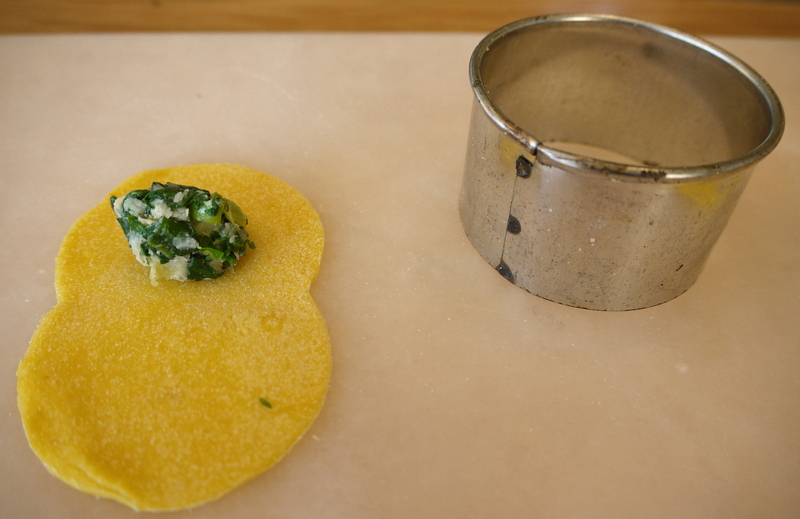 Great post, I love wild garlic. While there is no such concern as trespass laws in Scotlnd, here on Uist I have no ramsons to forage – they are very scarce here, although I was gifted some from Angus recently, more about that in a post soon. BTW your pasta look delicious as does the quiche! Thanks. 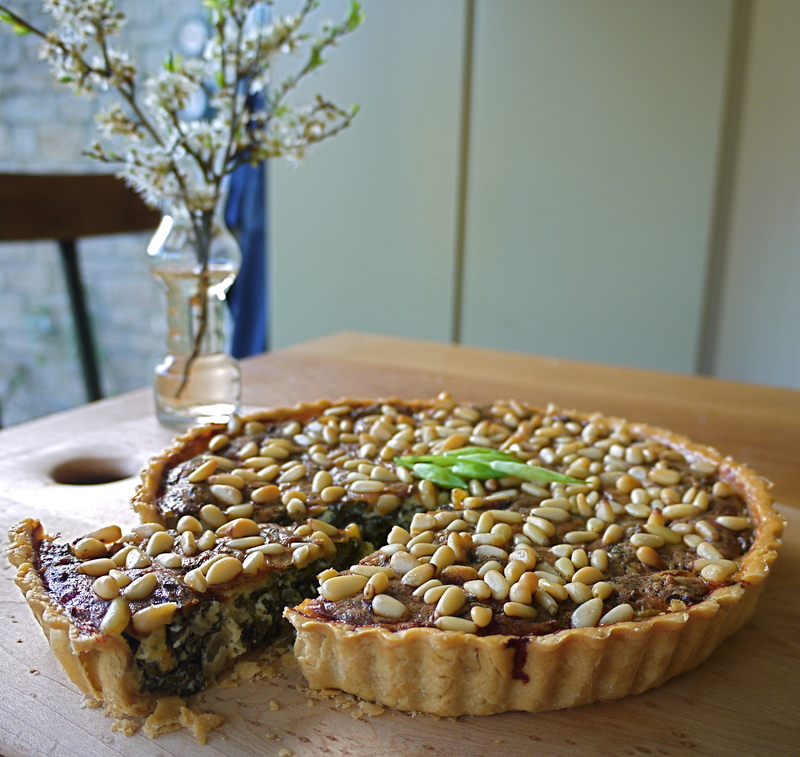 I’ve never tried wild garlic – this could be the year though… the wild garlic quiche might well be my first go at cooking with it.